For as long as I can remember my mom and grandma have always caught rain water to use for watering her plants, flowers and trees. My grandma used a wooden rain barrel and my mom has always used metal rain barrels. Rain harvesting is a free, frugal and environmentally friendly! SimplyRainBarrels.com is the ultimate source for rain barrels of every size, finish, style, and material. They even carry a large selection of tank and garden accessories for a custom system that will work perfectly for your specific needs. 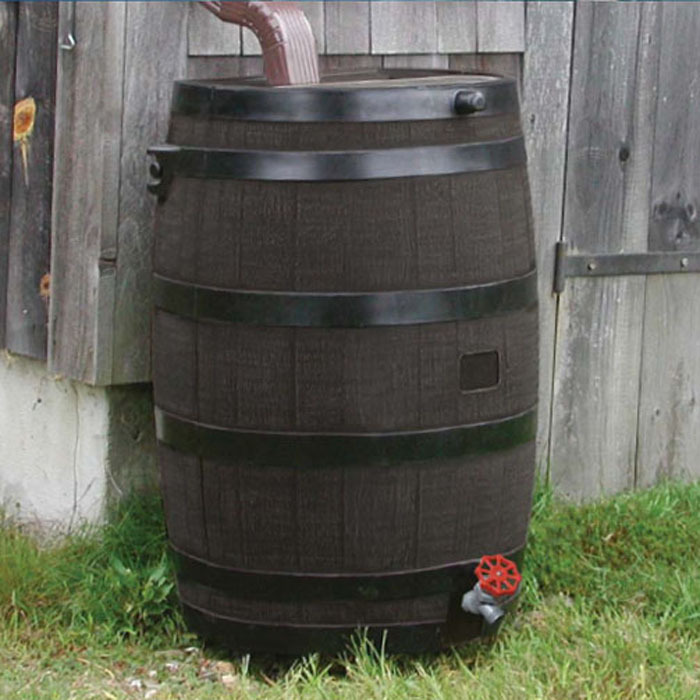 Rain water barrels have come a long way over the past several years, but the end result is still the same - fresh, free rain water for all your watering needs. ** Brought to you by your friends at SimplyRainBarrels.com. Regardless, I only recommend products or services I personally believe will be good for my readers. The views and opinions expressed on this blog are purely my own. Results may vary. This rain barrel is so quaint and pretty I'd love to have one on my property, but perhaps they're more expensive than the plastic ones. I do think it's worthwhile having one.. I also keep all my vegetable peels to make my own compost and mix my chickens droppings in there too to make it really rich. I've also found a way of saving $830 a year, I got a Tracfone SVC Samsung T155G for Xmas with larger keys and letters on the screen whic is for seniors. This phone costs $15 and I only pay $7/month for service. If you don't use this phone a lot then you can really save a lot of money and at the end of the year and you end up with a big nest egg, unlike with using a cell phone contract. Giveaways at my Blog with NO and Low Entries! Curves - Join for Only $10 - Get Started Today! Sell Your Old Cell Phone and Get Paid to Upgrade! UPS My Choice - Sign up for Free! Finally, Our First Snow Day!! Extreme Cheapskates - Frugal or Over the Top? Friday the 13th - Happy 8th Birthday to my Baby! Target Toy Clearance 70 Percent Off! Superpoints - Win Cash, Prizes & Gift Cards! Our Dessert of Choice - POPCORN!